After making public his mental health condition and his struggle with alcoholism, Yo Yo Honey Singh will pour his heart out on Kapil Sharma's new show, The Kapil Sharma Show on Sony Entertainment Television. Apparently, the episode, which was shot earlier this week Mumbai's Film City, has been done on the condition that Honey Singh will keep the revelations exclusive to Kapil's show. "Honey Singh will be talking about his long lay-off and comeback only on Kapil's show. There is a tacit understaning that he will not appear on the rival show," says a source. Apparently, all guests who appear on Kapil's show are being 'gently advised' to stay away from Kapil's rival shows. 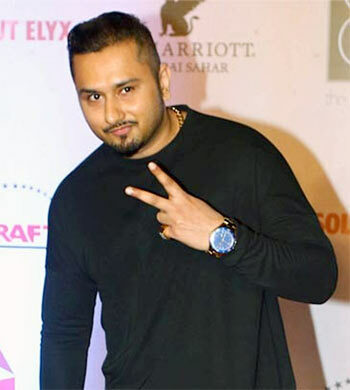 Honey Singh, meanwhile, will make his comeback with a feature role in the Punjabi film Zorawar. Quiz: Just how well do you know Honey Singh?